How to make an prayer before starting work in the office on mondays. Question: Can you please help compose an opening Monday prayer to start work in a government office. Thank you. Comments for How to make an prayer before starting work in the office on mondays. Thank you for the beautiful pray.. Can I use it for a different day? An essay or research paper is the most important task for students during their final year of education at university level and is an indicator of their true ability for the students and research students. We should all start our working before prayers. Nice message in the article, glad to be here and part of the article. This is quite an very good thought and it will help every individual. I bring Your presence with me. and Your perfect order into this office. will be spoken, thought, decided, and done within these walls. I commit to using them responsibly in Your honor. Give me a fresh supply of strength to do my job. It is neer occured to me that praying before work can make the working day more inspiring. 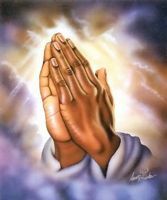 In www.Essay-Wizard.com you can find many essays which discuss how prayer helps us in life. If you are searching for online websites that are offering free services then you need to take care of your own articles because most of them are fake but best writing service review would help you to read more about pros and cons of all websites which are offering essay related material to online users for free. And I appreciate your decision to include a prayer for the starting of the work in Monday. I am going to try this in my office. Actually, our office does not have any prayers before starting the work.Beverly Diamonds ReviewsThat example of the prayer was awesome. "Lord Jesus, as I enter this work place, I bring your presence with me. I speak your peace, your grace and your perfect order into the atmosphere of this office. I acknowledge your Lordship over all that will be spoken, thought, decided and accomplished within these walls. Lord Jesus, I thank you for the gifts you have deposited in me. I do not take them lightly but commit to using them responsibly and well. Give me a fresh supply of truth and beauty on which to draw as I do my job. Anoint my creativity, my ideas, my energy, so that even my smallest task might bring your honour. Lord when I am confused guide me. When I am weary, energize me. Lord, when I am burned out infuse me with the light of the Holy Spirit. May the work that i do and the way I do it bring hope, life and courage to all that I come in contact with today. And oh Lord, even in the most stressful moments, may I rest in you. In the mighty name that is above all names, in the matchless name of my Lord and Savior JESUS CHRIST...Amen. Abbba Father, purify my boss and colleagues even those who do not like me in the Precious blood of Jesus and fill them with Holy Spirit".